How can we be confident in the future when the present is so depressing? 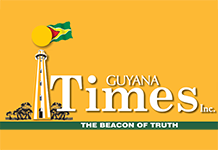 The Government of Guyana, as it reluctantly prepares to face the Guyanese people at the polls, is shamelessly clutching at every straw to avoid the electorate, and seems to have gone on a massive propaganda blitz. Almost daily, the Prime Minister’s Department of Public Information spends thousands of taxpayers’ dollars on full page colour advertisements in the newspapers titled “Confidence in Guyana”. Those advertisements seek to showcase what the A Partnership for National Unity/Alliance For Change (APNU/AFC) deems as achievements, if they really can be deemed so in the first place. It seems obvious, unless one is oblivious, that advertisements are tantamount of using State resources for campaigning? This was something I recall the APNU/AFC when out of office making boisterous noise about. It goes to show what happens when the shoe is on the other foot. I have taken a keen interest in the advertisements paid for by the sweat and toil of the Guyanese people. Indeed, it was interesting to see what the Administration praises itself for. Many of the projects lauded as achievements begun under the People’s Progressive Party/Civic Administration and the APNU/AFC has inherited and passed off as if it were their own doing. Nowadays, Guyanese will see the praise showered on the Cheddi Jagan International Airport expansion for instance. But it was the same APNU/AFC, when in Opposition, used their majority to deny funds to the very project they now market as a shining achievement. It goes to show, in my view, that there was not much new that this Government really brought to the table and they are in reality living off the work of those who preceded them. I notice too that one of the advertisements informed that more than $112 billion will be invested in maintenance of public security. Indeed, I couldn’t believe that such a stupendous sum was spent and I was less than pleased to learn of that fact. When one takes account of the large sum one cannot help but wonder whether our people are not being taken for a ride as that expenditure works out to almost $151,000 on a per capita basis. The question must be asked whether we have really gotten value for the monies expended. Nowadays our people are genuinely scared not knowing if they will be the next hapless victim of criminality. Today, the peace and tranquility of our villages and towns have shattered and fear stalks the streets. Our people are fearful about leaving their homes unoccupied and are afraid of going out in the evenings. They go about their business constantly looking over their shoulders. This is not the way our people deserve to live and undermines the notion of “confidence in Guyana”. I saw another advertisement which informs that $98 billion has been invested in the agricultural sector. This is yet another magnificent sum and I cannot help but wonder how it was spent. We see now our nation’s farmers being asked to pay higher land rents and increased drainage and irrigation charges. The large spending came when the sugar industry was significantly downsized and thousands made jobless. That investment came at the same time when the agricultural sector declined by more than seven per cent and foreign exchange earnings from the sector have fallen as well. The situation says a lot about “confidence in Guyana”. Through another advertisement, I learnt that $211 billion has been spent in the education sector. It is widely known that investments in education bear the best fruit and is the key ingredient to reduce poverty. It was, therefore, reasonable to expect that the sector would have grown by leaps and bounds but like the coalition, the fruits from the investment have been sorely disappointing. During the teachers strike last year, we became aware of the conditions of the classrooms. We heard that teachers use their own monies to buy school supplies. And, we have come to know about how shabbily our school cleaners are treated too. Yet another advertisement tells us that our Government has spent $158 billion on public infrastructure. Again, another large sum but have we gotten value? Let us just remember several hundred million in this area was diverted to what is notoriously known as D’Urban Park. The subvention to the Demerara Harbour Bridge was withdrawn and tolls were hiked by 100 per cent. Many of our village roads are impassable. We recall too the serious difficulties our brothers and sisters in the interior regions experience as they traverse those roads during the rainy season. Today, while our Government tells us we should have “confidence in Guyana”, the Administration’s own policies and priorities undermine this very statement. Another advertisement in the series showed us all the important persons President Granger has met, and it is an impressive list – the Obamas, Queen Elizabeth, former Brazilian President Michel Temer, Prime Minister Justin Trudeau, the Caricom heads, among others. It served to remind me about the billions that are being spent on travelling locally and abroad as well. The tens of billions spent to prop up the large Government bureaucracy. The hundreds of millions spent to paint Government buildings green. It also drove home how the substantial rise in taxes are being spent, why our children have lost their grant, why our elderly have lost their water and electricity subsidies, why our people are made to pay Value Added Tax on essential items, and so many of the new unsavory realities of life in Guyana. So today while we as Guyanese are asked to have confidence in Guyana, I ask how can we really be confident in the future when the present is so depressing and tomorrow appears so bleak.